text for your clicking convenience. 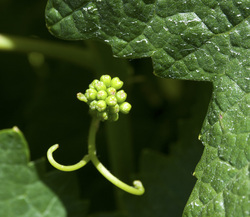 Vineyards' bud break makes the front page news here, whether it is early, about usual or late. So I figured I better record my own bud break on vines I planted last year. First stop was Passalacqua Vineyard. I had been by there many times but had not noticed it before. The trees were still blooming, just, which was good since it was over at Trentadue (later stop). And they had a vintage John Deere. The next stop was Quivira Winery. I never miss this place when I'm in the area. It is a nice setting with picnic tables. They have a garden and chickens. The chicks were adorable. It must be about time to prune. Trentadue is my go to vineyard for flowering trees. They were early this year and I was late. I did get the vines' first leaves. Another thing I never miss in the area is the red barn on the way out of Dry Creek Valley along West Dry Creek Road. I was happy with the green hills and a few wildflowers at Helen Putnam park after two weeks in Florida visiting a couple of sisters. It was a windy day, making the clashing bamboo sound like wind chimes. The sign from Trico Shrimp Co. says "Friends don't let friends eat imported shrimp". 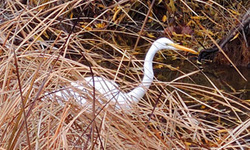 The egret was on a cute, tiny, island. The top layers were covered in shells. 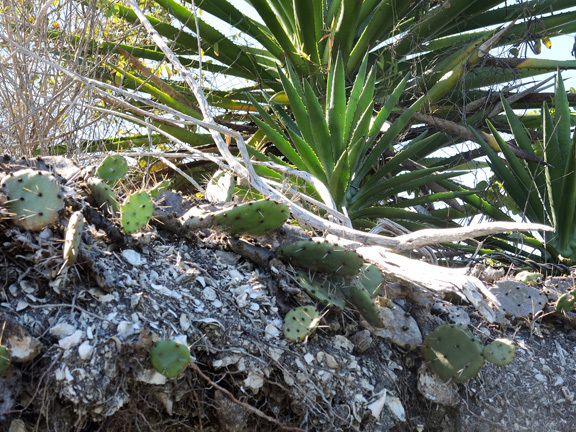 In addition to palms and a couple of trees, there was prickly pear cactus on the island. I was taking pics of the heron from the bridge. A guy was fishing. He thought he'd throw me a bone and the heron a fish. It was fun seeing him even if I couldn't get a good pic. I took my grab shot with him behind the branches. I knew as soon as I moved for a better angle he'd take off. Spring is coming along. We might get rain in a couple of days, after having none in January. The guard llama did check me out as I approached but decided I wasn't a threat to his herd. He came up from the hillside between the paved path/road and the trail and joined my trail. I was happy to have him in front of me. The sun just came out and the fog is burning off. I did see the coyote on my way out, now that I know where to look and what to look for with how he is camouflaged. It was a nice, foggy morning for the neighborhood walk. Is he dressed for winter, or what! It was a foggy morning. I saw him again. After coming my way, he got to the trail. I was happy that he went in the other direction from me! I saw him again. I was uneasy following him on my trail, especially when he was around a bend. Luckily he went off trail. Look who I saw at the park today! I had heard there were a few coyotes at the park, but after four years of going there regularly, I hadn't seen one. I figured I'd have to go there in the early morning (not much chance) or at dusk. I was surprised to see him mid-morning on a day after a holiday with a few extra people around. He was standing in a field as I drove along Paula Lane on my way to walk at Helen Putnam park. I thought about stopping but figured he'd get disturbed and fly off. He was still there on my way back so I had to stop. I was sorry that I did run him off after getting a few shots. It was definitely a good walk with the sun finally out and the hills turing green after a long rainy spell (which, yes, we needed!). I saw him fly in and hoped I'd see him at the pond. After I had a good veggie melt sandwich at Fisherman's Cove, I left Bill in charge of visiting and watching while Mary and Jim ate their first Dungeness Crabs. 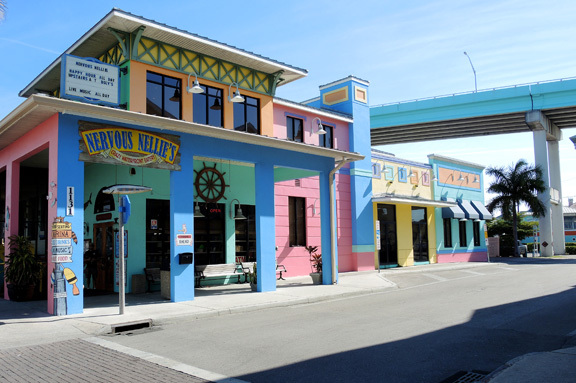 I walked around the docks and along Bay Flat Road. We hadn't done the drive for a very long time, had another nice day and decided to do it. We started it just slightly south of Asilomar where we had done a beach walk yesterday. Our first stop caught some golfers. I don't know why this struck me as so funny, but it did. We spent a couple of days and Thanksgiving at Asilomar in Pacific Grove for the third year with a party of 12 of Bill's cousins and families. Will the photos look different from last year's? We had lunch at the Oxbow Market in Napa then went north to St. Helena. We tasted Merlots at Rutherford Hill (great views) and Markum. 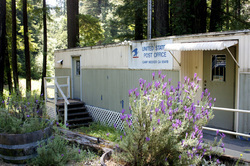 After the walk in the redwoods, instead of having to use the outhouses, Bill thought about going to Korbel, close by. What a great idea. 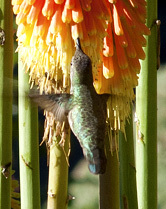 In addition to good restrooms we had a great view across the street, a tasting and a hummingbird! We started out with a lovely picnic although it was cold! We warmed up on the three mile Pool Ridge trail and had a very nice walk. We picked up Bill's sister and brother-in-law at the airport, had a scrumptious brunch at Pomelo's and walked around the Mission and Castro districts. I did NOT take a picture of naked guy with gold tassle in the Castro district. The Chocolatier Blue chocolates were not just gorgeous works of art, they tasted very good! See the green? It's coming. We are supposed to get a measureable amount of rain this week, so hopefully it will be even more noticeable. The weeds between my pavers are definitely noticeable. 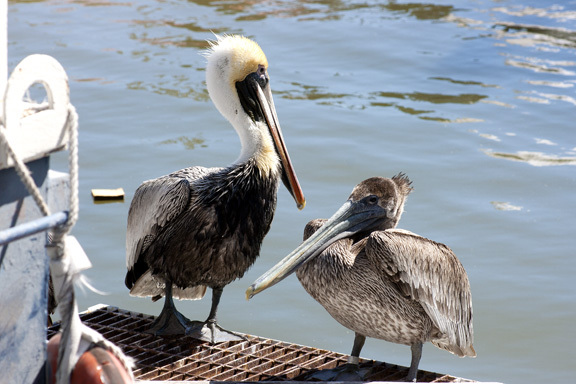 Bill's cousin Ann's son and daughter threw her a lovely birthday celebration at Pismo Beach. It was a lovely evening with wonderful people, a beautiful setting and very good food. We took advantage of the area and had a lot of fun. We took TV Tower Road off Hwy 101 for a view of the 9 Sisters Peaks, dormant volcanoes. Morro Rock, seen above in the ocean, is the rightmost peak. The Michelen Guide warned that the road was one lane and potholed. Seeing the Coast Starlight run through the San Joaquin Valley was an extra treat. The train runs once a day, so we really timed it well! Monarch butterflies wintering in the eucalyptus trees at Pismo Beach. We had quite the nice walk on the dunes. We had tried to do that many years ago but didn't find the right entry, just the part with dune buggies and their tracks. Then back to Pismo Beach and a very good lunch at the Rock & Roll Diner. 10/27/2014 - Heading north along Highway 1 for the LONG, but scenic drive home. I love this little hamlet with a population of 18. We discovered it maybe 25 years ago when I got a photo of a paint out, with cows coming over to the fence to watch us watch the artists. I'll hunt up the photo and post it here soon. We had to stop at Moonstone Beach to do some rockhounding for my sister Judy. Not knowing what moonstones look like, I asked the only other people on the beach, and they were picking up rocks. Bill is usually the one who spends hours looking for rocks but he dragged me away this time because there were just tiny pebbles and we had a long way to go. We weren't going to stop for the seals, we had seen them before, but at the last second I shouted 'pull off' for a lighthouse picture. There was not a good shot of the lighthouse, but we couldn't help staying awhile to watch the seals. 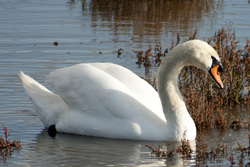 Apparently they come here twice a year for "birthing, breeding, molting and rest". Driving north along Highway 1. I was long overdue for a beach walk. Plus it was about 90 degrees in Petaluma the last couple of days and what better way to have a cool walk? 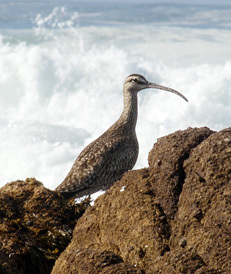 From googling afterwards, I think the birds are Godwits. That was interesting. I happened to be passing Lynn's Thai Restaurant in Cotati as they were setting out tea and incense and performing a small (one person) ceremony at opening time. I visited several farms that were 'open' for the weekend Farmtrails event. First stop was Lavender Bee Farm. I didn't take any photos there but will go back in the spring for the blooms. I did buy lavender soap and got pruning tips for my lavender plants. Next I had some gelato made from the milk from water buffalo at Double 8. Then on to Valley Ford Cheese Company. Karen was such a nice host. She gave a tour and provided samples for a cheese tasting. Of course that led to buying some cheese. I took a picture of their tractor because I like old things (machinery, buildings, etc.) and not because she said it was in the movie "The Birds". Their house was used in the movie as well as the long driveway with the tractor at the end of it. My last stop was Happy Hens farm. There were some odd birds there as well as lots of other animals. Most seemed happy other than a couple of caged dogs. We did a trip to Arkansas a couple of weeks ago to visit a few of Bill's cousins. 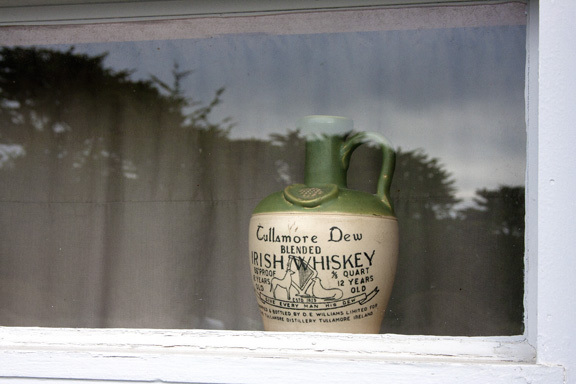 The Tilley House is on the family farm and has been in the Buchanan family since the 1860s. It is in Prairie Grove, a small town southwest of Fayetteville. Click here for a page of Arkansas photos. 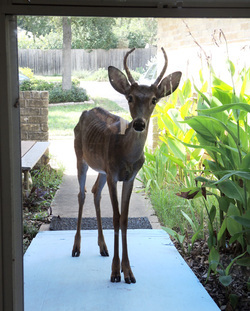 Actually he came for food. It was so cute at first, but then heartbreakingly sad when we saw how skinny he was. He was on the porch of Bill's sister's house in Austin, Texas. This walk (and many other things) is dedicated to Carolyn, Bill's sister. I'm thinking of you today and hoping you found peace. I know you did. What a lovely day at Filoli Gardens in Woodstock with a friend Sarah from Ohio with her friend Josie from Sequim, Washington. Hanging out and on the lookout. It was a fun day at Santa Rosa High School. It had to start a little early, up at 6 to be there at 8 to set up an advertising table and be on the job at 8:30, for an official start at 9. I set the alarm for 6:15 but was rudely awakened by Cairo the cat at 6, wanting under the covers. I don't know what he does, all I know is that I wake up and he is in my face. OK, once the day got started it was fun. Good weather, lots of people & dogs, a 'not just pancakes' breakfast from the Windsor Lion's club, lots of good sponsors, a great DJ, what am I forgetting? Kudos to CCI and the organizers. Now to sort through a couple of hundred photos to cull & get to CCI. I'm going to be a volunteer photographer for the CCI Dogfest this Saturday, 8/23, in Santa Rosa. 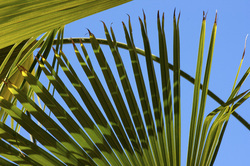 See http://www.kintera.org/faf/home/default.asp?ievent=1110761 for more info. I've fallen behind again in postings. I was on my morning walk without a camera and saw a deer and a peacock. Neither would have made a great photo, but I would have snapped anyway. I hope to do some postings soon! Buster (right) came down for a visit and a cooling cycle on the garage floor. He tolerates Cairo's interest in what he had for breakfast for only a few seconds. I went to Lowe's for a kitchen faucet. After living with a faucet that shuts itself off and a grungy sink for three and a half years, it could be time for new. That was only halfway to Windsor but I wanted to make the outing fun. I had two things on my list for Windsor. We had had a bottle of wine from Windsor Oaks. I didn't know there were vineyards in Windsor so figured I better check it out. They do tastings and tours by appointment only, so it was nice and quiet for my looking around. The second thing on my to-do list was Windsor Salvage. That was so much fun. Someone who looks for found objects to use in art told me about this place. I got there fifteen minutes before closing at 3:30. I had just enough time to scope it out and get a couple of photos. I can't wait to go back. There is also a salvage yard in Santa Rosa. That should be great also. We have one in Petaluma, but it is much smaller, unless there is more to it than I know about. I have not looked there for photos. We took contributions from the house there when we moved in and needed to get rid of cupboards, workbenches, etc. She is usually in the back by a barn. I chuckle every time I see her in the front. I went to the coast to beat the heat. The house has no a/c. It was a very pleasant temperature at the beach. I usually spend the time walking and looking for photos. It was all about the clouds today. Since I was escaping the heat, I felt lazy and took a chair and a book and relaxed. I took photos of the Arts Center's fundraising event at Beaumont Farm. What a beautiful location and perfect site for an event. Click here for more photos. It has cooled off and the flies were not bad today. Good thing since I haven't managed to get to Whole Foods to get the recommended Herbal Armor repellent. 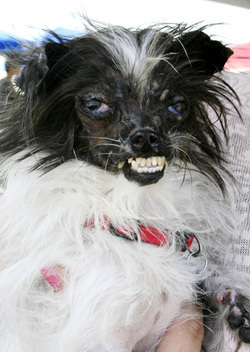 This is the winner of the Ugliest Dog contest at the fair. In addition to the usual fair rides, fair food and exhibits, there was this contest and also wine tastings! It is Sonoma County after all. It was a fun time. Although I don't know why they have this fair. 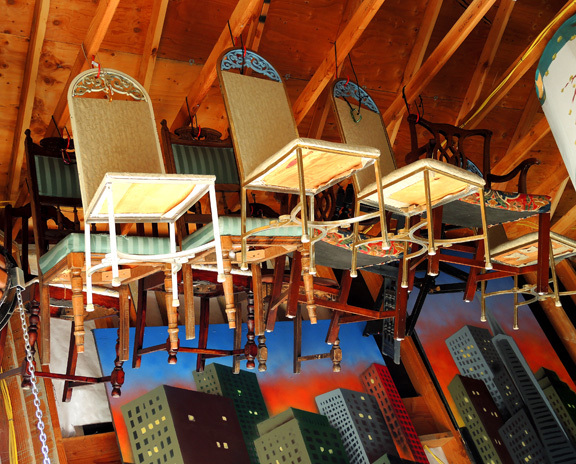 There is a Sonoma County fair, a Marin County fair, and this one - the Sonoma-Marin fair. I was even farther behind on the Barinaga farm tour in March! 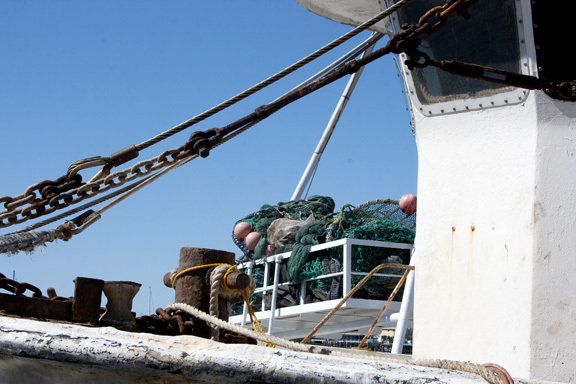 See photos below from 03/22/2014. This photo is from a month ago. I like to keep the events in date order. I got behind and just added photos from the drive to Oregon. See pics from 05/09 to 05/13 below. I spent three hours playing with goats. Redwood Hill has a fantastic open house/farm tour. There are several pens to spend time in playing with the kids. It is hard to get pics of them because they rush over to greet you, jump on you and chew your clothes. They'll sit on your lap and let you pet them, as friendly as puppies. The farm is in a scenic location and the family is so nice. 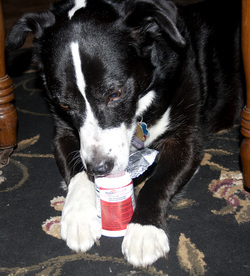 I sampled the cheese, bought a yogurt for lunch so I could stay and play longer and had an ice cream sample. Everything is delicious of course. Plus I got luscious smelling goat milk soap. 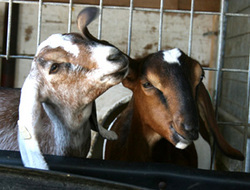 The older goats are sweethearts also. This is the youngest of the year, born last night! I chatted with a lady I met, Elena, for quite awhile, so that took up part of the three hours. I met her in one of the pens with two goats on her lap. My only regret is trying to take too many photos and spending too little time communing with goats on my lap. Next year! I didn't spend NO time communing, just not enough. Across from Helen Putnam Park as I was starting my walk. Since they have been living in the lovely hills, I'm afraid the trucks are not taking them to a better place. 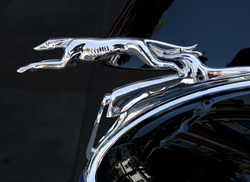 I photoed the Lions' fundraiser for Canine Companions for Independence. Did I want to crawl under the bench with this guy late in the afternoon? Click here for the day's photos. 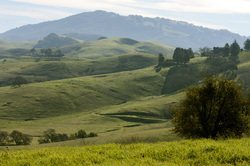 When my friend Laurie, from Ohio, walked here the other day with me, I lamented the lush green hills. She had no sympathy and I decided I'd best stop complaining. I'll probably start again later in the year. The ranger gets drinking water. I had the best bike ride today. After hearing from Mark, a major cyclist, that my complaints about the hills near my house are legitimate (many cyclists besides me do not like hills, and yes, they are significant hills), I loaded my bike in the car and drove to Sebastopol to start the bike trail north. I had a wonderful time remembering how much I like to cycle and the scenery was very nice. I also got to chat with a sweet lady walking with her dog as I was taking pics. About six months ago I got an inner tube to fix my flat tire. Before I got around to it, the back tire went flat. That contributed to me taking a long time to get around to fixing it. Mark couldn't stand seeing an idle bike and fixed it for me. That was so nice of him and did indeed get me back in the saddle. After having our friends Laurie and Mark blown away and chilled at the Bodega Head scenic overlook, we had a nice walk along the beach with more wind and crashing waves, but not as chilling. We saw this cutie on his favorite fencepost across Drycreek Road from my favorite red barn stop. We had a good tasting at Rodney Strong Winery. I'm sorry I didn't get a photo of my work buddy Laurie and her husband Mark, but anyone who knows me knows people pictures are an afterthought to me, if that. Laurie and Mark spent a few days with us at the end of their two-week California trip to San Francisco and a week in Yosemite. We thought we'd do the tour at Rodney Strong, but didn't actually care that some of the staff was out and they weren't doing the tour. The very nice man who gave us that news felt bad about it though and more than made up for it with a complimentary tasting that included more tastes than we expected. 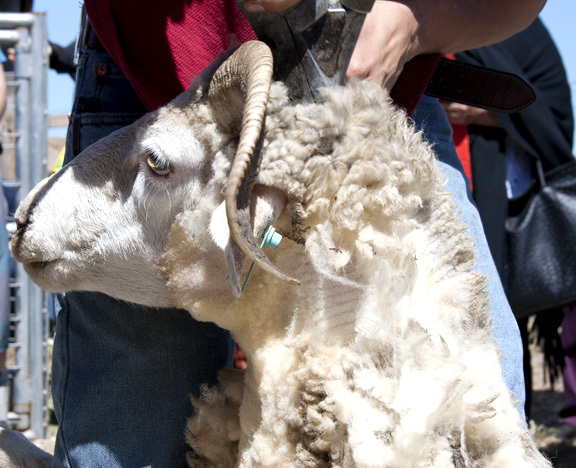 I went to the first annual wool festival this morning. The coat is coming off (and in one piece). It is time for a haircut! Valley Ford is in a lovely setting. I was happy to see flowers are still around here, after being in Oregon for a week. On the other hand, the lush green is gone and the hills are turning brownish. This is the last photo in the series that started on 05/09/2014 below, following the drive with my sister Judy from Eureka, CA, to Bandon Beach, OR. 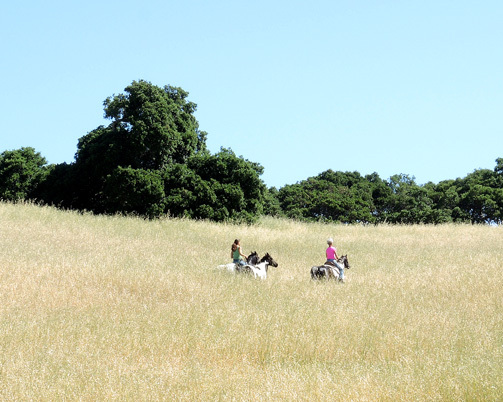 We started in Petaluma, CA, but did not stop before Eureka. Next time I'm going to walk the trail on the bluffs! Today I had already walked and lost the trail at Cape Blanco, enough for one day. 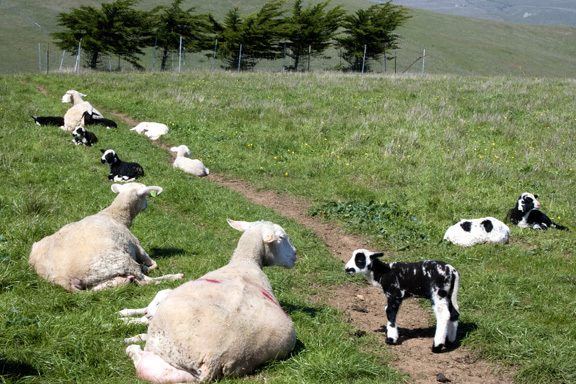 My brother-in-law told me about a scenic trail through a sheep farm to Cape Blanco Beach. There were no sheep at this time and the grasses beside the very narrow trail were chest high, but it was a lovely walk to the beach. The Sixes River going out to the ocean. I was ecstatic to find this trail. It is a different one than I took out to the beach. I failed to find the one by the river that I took out, hidden by tall grasses lining the edge of the field. I hadn't even seen two trails at the start, but did notice them at the finish. Later I asked my brother-in-law which trail he takes. He said the left for sure, doesn't the other one dump you in the river? It didn't dump me in the river, but it was alongside the river. I did turn around when I got there so I could find it on the way back. Oops. I went up and down the river bank many time, following footprints, looking for my fallen tree landmark, then went through muck to go a little cross-country to intersect the trail. After more muck I luckily saw a branch sticking up from a fence post marking the other trail and was pleased to have a trail to take a picture of. Although this area (usually) has the best crashing waves (not today), I still love the coastline and the rock patterns. The logs go to China, the sawdust goes to Japan. How can there be any trees left in Oregon? 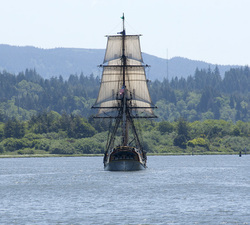 This was a lucky sighting in Coos Bay as I was walking around looking for more angles for the sawdust photos. Looking it up later, it is either the Lady Washington or the Hawaiin Chieftan. 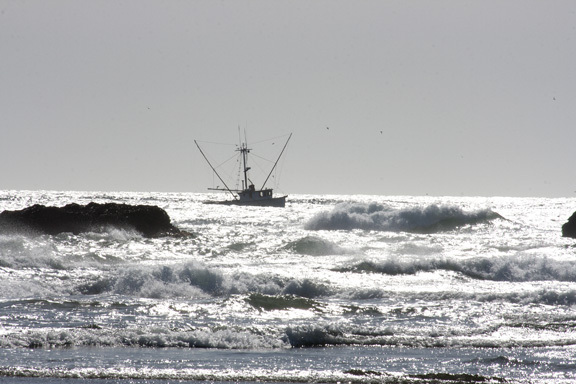 This was its last day at Coos Bay. We made it to Bandon and started with a walk on the beach. Indeed it was quiet. This is trying to capture the blowing sand. It was quite an effort to not get blown away. Seeing the ship at sea made it feel like a storm coming, but it was just windy. The beach was very scenic and rather quiet. We chatted with a couple for awhile. The man was puzzling over why Crescent City couldn't attract tourists. 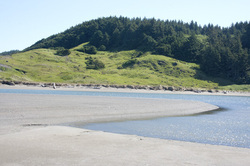 Judy related, as Bandon Beach is equally deserted (see pics above! ), but she wants it to stay that way so keep it a secret. If this rock is not named, I declare it The Lion. Judy looking for the elusive agate, not scouping agates. I don't remember it being cold and we were in short sleeves as we left. 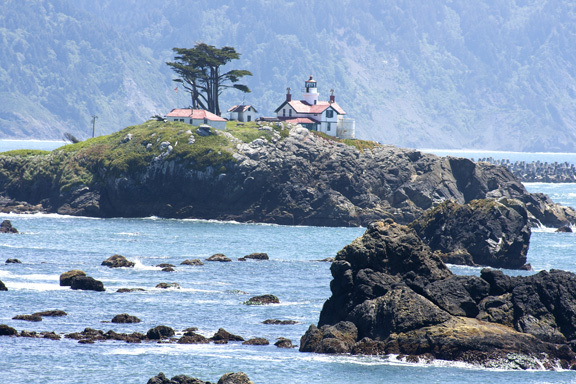 Our next stop was at Patrick's Point State Park north of Eureka and Arcata, California. We ran out of time that day for seeing much of the park and headed directly for the agates. We found no agates and saw very few rocks of any kind. The desk clerk at the hotel said we could scoup up agates at Pebble Beach in Crescent City, so we looked forward to the next day. Our first stop was in Eureka. We went to the best Victorian house first. By the time we drove to the area for the walking tour, we were shocked to see it was 3:00. We walked by only four places on the tour and opted to head north making Patrick's Point State Park a higher prioritoy for the day. My sister Judy flew from Ohio to San Francisco. After a day of rest around the house, she and I headed to her house in Bandon Beach. The entries for the trip are above from the 9th to the 13th at the top of the set. I almost didn't take my camera on my walk because I was in a hurry. I'm glad I had it and hope I never tire of seeing "the common" deer. Since I was slowed down watching two of them cross the path, I decided to check out another trail that has lupine at this time of year. They weren't spectacular, but worth the detour. 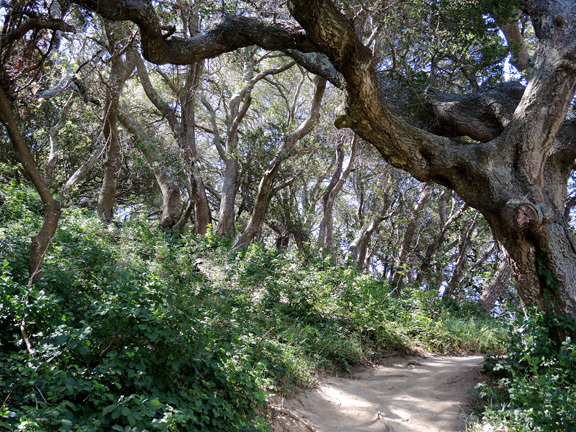 I got sidetracked from my Southern California State Park photos from the last three days. I went to take pics of goats. A friend has quads a week old today, and two others a few weeks old. Not to mention the moms and dads. I didn't know she had many more animals than just the goats. Besides a cat to run the place, she has a sweet dog, another cat, three horses and six chickens. This family is so doting on the animals, all of the animals are very friendly - even the chickens. 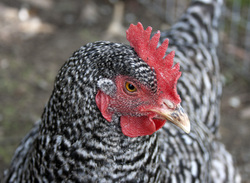 I've enjoyed taking photos of chickens before but had never pet them. I did today. Click on the goat in the chair for more photos. 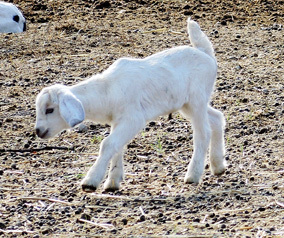 The goats are Nigerian Dwarfs, miniature dairy goats. He'd sit on your lap if you wanted the chair. This cutie is a week old today. OK, this isn't the best photo from the area, but it is interesting. Click here for a page of photos from the park. 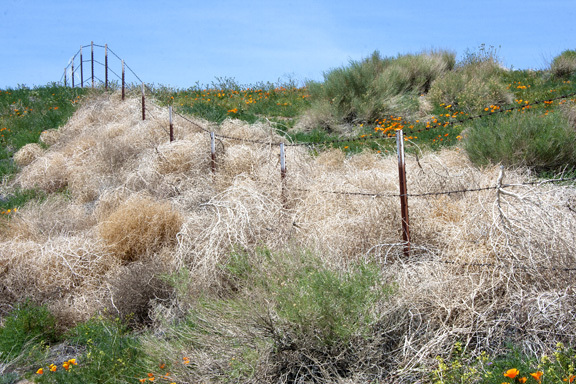 I saw photos of wildflowers in the park, but not this drought year, or it was earlier. Other than the Red Rock Canyon and Antelope Valley Poppies areas (entries below), STARK was the overused work of the trip. This particular point of interest is the San Andreas Fault. The trail, light area, in the foreground is on the fault line. It is much more impressive in aerial photos. That is our car and the road in the distance. The white in the far distance is salt flats from Soda Lake. Toto, we are not in Kansas anymore. Nor are we in Arizona. The surprising thing is we ARE still in California, albeit Southern California. I saw a gorgeous photo in last year's Sierra Club calendar from Antelope Valley Poppy Reserve (see next entry) so we decided to check it out this spring. 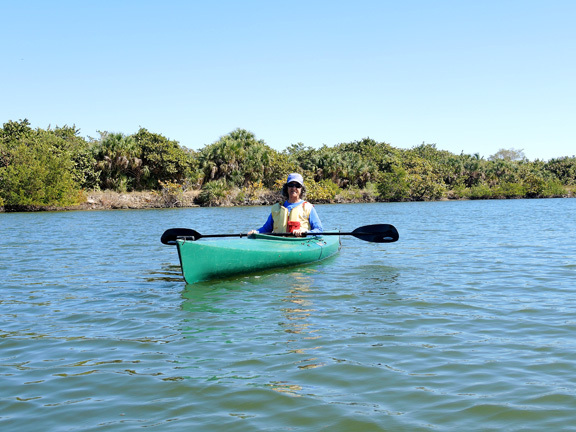 We investigated and found several additional parks in the area. Red Rock Canyon was a great find, a few miles north of the town of Mojave. And then there is the Hagen Canyon with white cliffs across the road. of the gusting wind and the poppies were opening. During the day, they all opened and it was spectacular. I was not making much progress in walking the trail as I was shooting all angles of poppies and hills. I chatted with a woman who goes there every couple of years. She said just around the bend, there were enough poppies to hurt your eyes. And that was after this photo. Escaping from the tumbleweed corral. I went to the coast to check for wildflowers. it wasn't a bad day, nor was it overwhelming like last year. 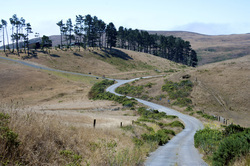 I drove back on Bay Hill Road - a new road for me, a short windy cutoff. It was about one lane wide and I was fortunate to have a couple of pullouts. I wanted to stop for a couple of other shots but didn't have a place to pull off the road. Next time it might be worth walking farther than I felt like today for more shots. They are just too cute. Just as I was leaving home to go to Carneros (next entry), Cairo (on the right, my cat) was joining Buster (his brother who lives down the block) at the house next door. I had to stop. Miscellaneous note: I cannot get caught up! 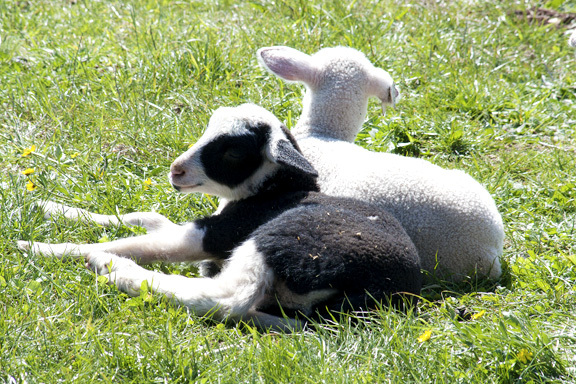 I have not posted adorable lambs from a farm tour a couple of weeks ago (I will soon!) and I have another farm tour tomorrow. The farms are just too friendly and scenic. Carneros - 04/05/2014 It was a nice cruise around the Carneros area today. My objective was sheep in the vineyards, but they didn't happen to be there today. I was not disappointed in the scenery though. From the redwoods, we took our visitors to the coast. 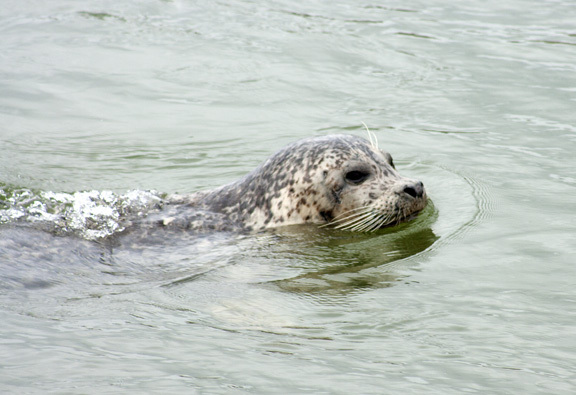 First to Jenner, where the Russian River goes out and the seals congregate. 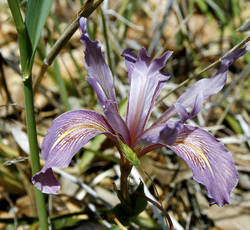 I can't resist my first iris of the year - at Bodega Head. We picked up very good sandwiches at Ray's Deli in Petaluma for a fun picnic. Then we had a stroll through the redwoods, such a peaceful time. We had visitors and picked Cline Winery to show them for the lovely gardens, and tastings. 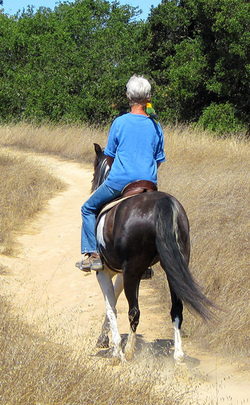 Life is good at Barinaga Ranch on Tomales Bay in the little town of Marshall. Marcia, the owner, gives the best farm tours. They are hugely informative, interesting and followed by a tasting of their delicous sheep milk cheese. But the photos below are the reason I go! He is the best guard dog - a Great Pyranees. 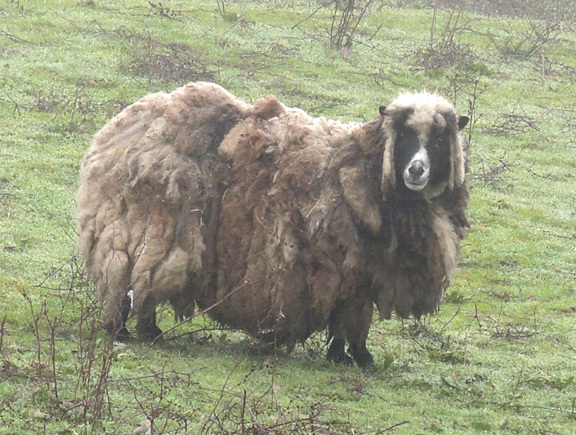 He never stopped watching his sheep. Junior has been a stray in the neighborhood for several years. He has a wonderful foster home outside at least and gets fed on the porch and can nap on their bench and their neighbor's backyard bench. But he gets picked on by other cats and needs a safe home. We are working on getting him rescued and tamed. He's happy to eat their food and be near them, but allows no physical contact. This view caught my eye on the drive to the park (next entry). I stopped on my way back from the park to grab a few shots. 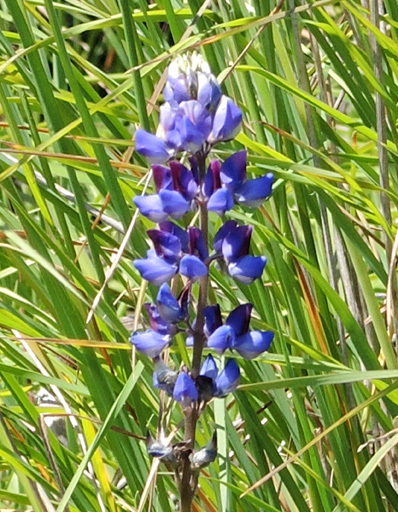 The lupine are out, although somewhat hidden. Other than poppies there were buttercups and then mostly tiny wildflowers. It is early for the rest? I can't stop shooting green. It was another gorgeous day at the park. Not a bad setting for a house, eh? In Ohio, many people feel bittersweet about fall because it is one of the better seasons there but does not last long and you know winter is coming. An artist painted 60 pictures and is celebrating her 60th birthday with a treasure hunt for the art. See her link at http://60at60treasurehunt.wordpress.com/ What an interesting and fun idea. She put the first ten clues on the web today. I didn't think I'd know many of the places and didn't know how many people would be out looking. One of the clues was for a hard to find treasure of a garden in Sebastopol and said the piece would be found behind the Open sign on Azalea Road. I knew the garden on Azalea Road and had been there. It is indeed not on the beaten path. I headed out and found the piece of art exactly where the clue said. I was excited. I then walked around the gardens for an hour and a half taking photos. Those are in the next entry. My found treasure by Lauri Luck. This place is a gem. 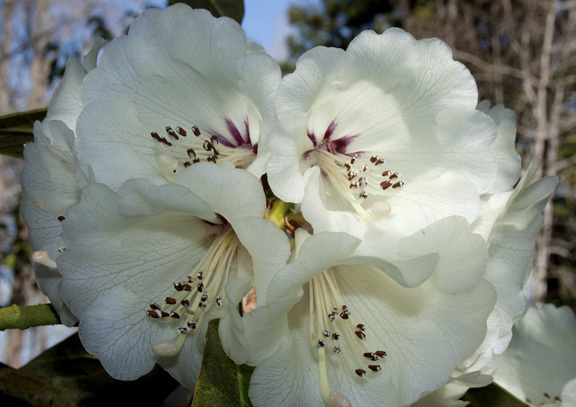 There are a million azaleas and rhododendrons, not in just a nursery setting, but also in their woods where you can amble. The azaleas are blooming now. I hope I get back in a month or so for the rhododendrons. 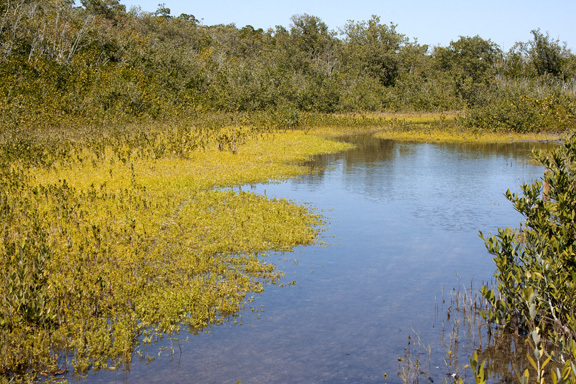 They have garden after garden, and a marsh, and it goes on and on. It was such fun to be there taking photos and enjoying the gardens after finding a piece of art (described in the entry above). The hike up Mt. Burdell was great. It was a little bit of effort, but very scenic. 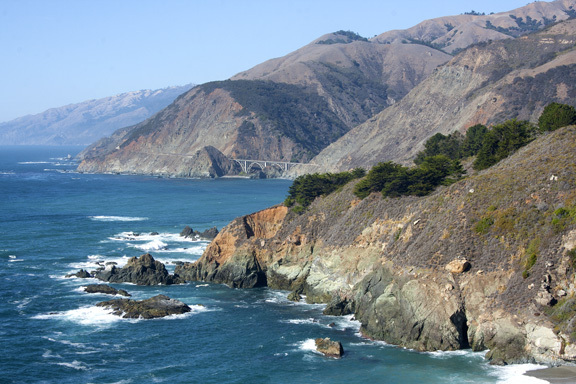 It is just south of Sonoma County, in Marin County. This is a view looking Northwest. I posted a photo back in June (12th) labeled 50 Shades of Brown. I was surprised it was that long ago, when there were still some golden colors. I thought it was when I was very sick of winter and everything was brown. Now I am loving the green. The bright green seems surreal. But with the lack of rain, we'll be back to brown sooner than we want. Heading out to take goat pics never disappoints. 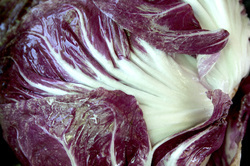 After taking vegie pics there, I got some cabbage and parsnips - my first time for fixing parsnips. 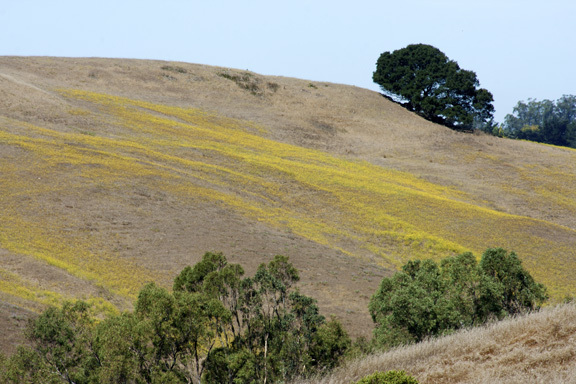 While I was out and about on the north side of Petaluma at the farm, I figured I might as well check out the south of Petaluma for the best mustard. It was indeed again a good site. It is hard to admit winter is over since I keep waiting for more rain. Good thing I didn't wait much longer, soon the trees won't be blooming. 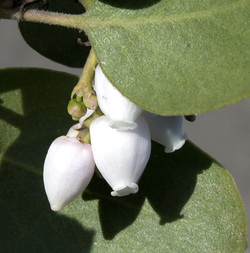 Trentadue (in Alexander Valley) is my go to place to start looking for flowering trees. Then I worked my way back south. I discovered this one accidentally (lower left vines & flowers). I always check out the little road across from Quivira in Dry Creek Valley. (I like Quivira and have used them for a picnic spot when I take a break in scouting for photos). I saw balloons out for the Barrel Tasting weekend and followed the narrow gravel road to this vineyard. I loved the setting. I forget the name and shall go look it up. It is hard to find. It might be A.Rafanelli. I'll have to look next time I'm in the area. There is just enough mustard to provide accent to these old vines. 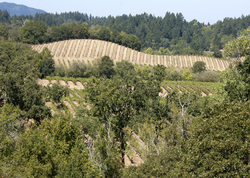 They are at Christopher Creek Vineyards in the Russian River Valley. I was not quite the early bird this morning, or at least the sun was earlier than expected. I wanted to take fog pictures on my walk but the fog didn't last long this morning. Since I had my camera at the ready, I figured I could at least get the goats at the end of the country road one neighborhood over. Those goats were resting and not near the fence so I continued on to the next herd. I've been meaning to photo them for ages and keep forgetting to walk there, only thinking of it when I drive by. Finally, and boy were they worth it. The little ones were doing their springing/jumping around. I didn't capture the action, but did get some still life. Second herd - they were curious also. Who else wants in the trough? 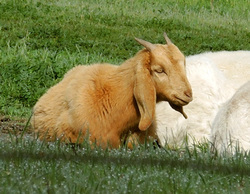 The goats live next to Cinnabar Theater. I used their side yard for access to the goat photos. This is Cinnabar's shed. We got six inches of rain in the last three days. It was marvelous and months overdue. It could finally be the end to the drab gray-brown everywhere. The hills are starting to go green. The walk at Helen Putnam Regional Park was therefore full of hope I even started thinking ahead to wildflowers. And look who I saw!! 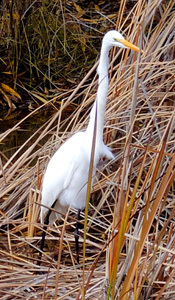 I had not seen an egret here before. I went to the orchid show in Santa Rosa today. It was a small crowd, I felt bad for the vendors. Super bowl Sunday is not a good day for getting people out. Plus it was raining. That was great, we are desperate for rain, but it might have kept people burrowed in their houses. 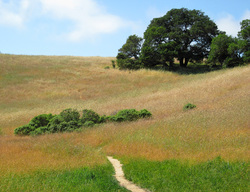 I had read that there is a Sierra Club hike on Mare Island, so we went to check it out last week (without the club). Mare Island (a peninsula)was a major Naval Shipyard. There are great views towards San Francisco and more, but not so great on our hazy day. I'd love to walk around the buildings looking for photo ops, but most are behind fences. There was an interesting visitor center/museum with a very nice woman running the place and a wonderfully friendly yellow cat (I'm still sorry I didn't get her picture). Mare Island Gold Course. A few people were playing! What the heck kind of grain elevator is this? I haven't seen one like it before. I went to Bodega Bay two days ago and had fun photoing around old docks and old boats. I planned to go back soon to get in a walk on the beach, which I missed. 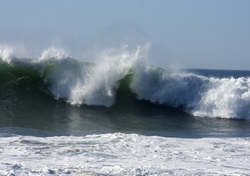 Then I heard that they called the major surf competition for today in Half Moon Bay, which was having Maverick waves. From last year, I know we don't get the Maverick waves north of San Francisco but I thought it would be a good day to check it out and get the beach walk. The waves were rough, not huge, but it is always good to watch crashing waves. Hazy air but still pretty. I thought the remaining paint patterns resembled an ocean painting. Although I didn't get a walk on the beach (as I mentioned in the Bodega Bay 1/24 entry above), I did walk along the cliffs of Bodega Head and watch some pretty good wave action. And a good way to wrap up the year. This is Gustafson Winery overlooking Lake Sonoma. We spent a few days at the Asilomar Conference Center again this year for Thanksgiving with several of Bill's cousins. We got in a couple of great walks along the scenic coast. A pleasant view from our balcony. We stopped at Bean Hollow beach, a little south of Half Moon Bay, on the way down. 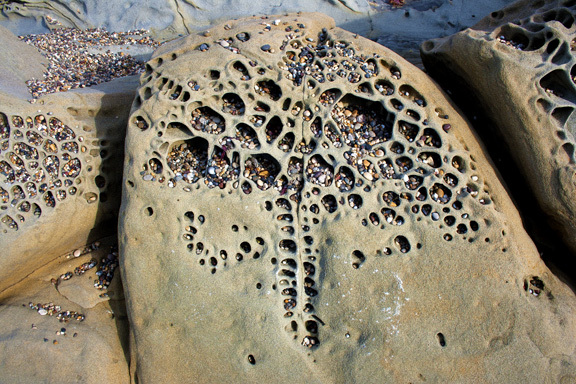 I love the rock patterns. 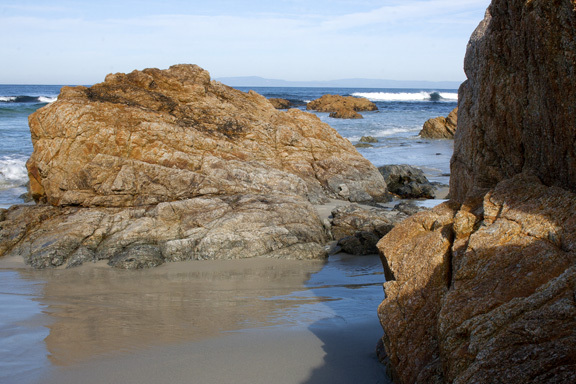 It is adjacent to the other Pebble Beach, the one without the golf balls. With a little rest, I am feeling better about yesterday's shoot. I hadn't been to the coast in awhile. I got a warm day before winter sets in. I could have worn shorts! Luckily, before I got to the beach, a birder was nearby and told me a peregrine falcon just flew over me. I had not seen it. He spotted it in a nearby tree and the falcon hung around for me to take some pics. The photo to the right is an enlargement of the steps in the photo above. Where the heck did they used to go??!! 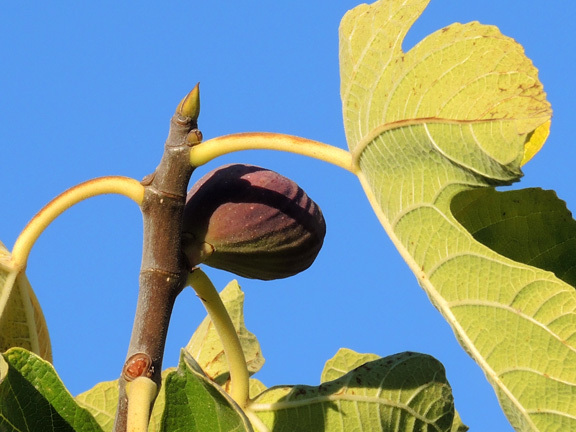 Bob was out picking figs as I was coming back from a walk. I also picked a lemon to do a taste test with a lemon from our tree. His are Meyer lemons; I don't know what ours are. Catching up from photos from October 3. What fun to happen across harvesting at my favorite barn along Dry Creek Road while with friends from Ohio, a work buddy Ron and his wife Bernice. I had a blast photoing the current state of the factory tear-down. 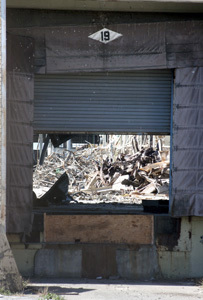 It might be even more fun to photo the tear down of the front office building where I worked for 18 years. Click on the photo for more photos of the fun. I'm back from a great trip to Ohio. I had a wonderful time visiting friends. The fall colors were good and there were several pleasant, sunny, days. Every time I had a break between visiting I went for a walk in a park. I'll post more representative photos shortly! Don't desert me. I'm going to Ohio to visit friends and family. I'll post when I get back. I have more fall in the vineyards shots with some crush activity to put here, so please stop back in a couple of weeks! This is from the Petaluma Pumpkin Patch a few days ago. 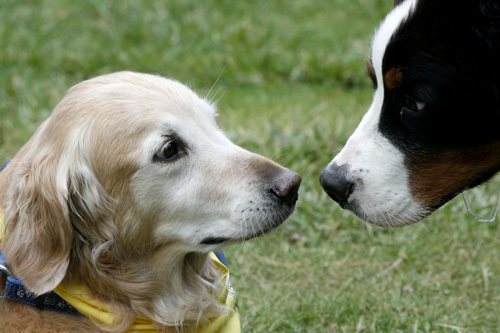 Canine Companions for Independence had their nationwide fundraising event today. I went to the one in Santa Rosa at Spring Lake Regional Park to take some pics. I ended up joining the group of people and dogs for a two mile walk around the lake and watched the dogs swim (or mostly retrieve tennis balls). Click on the photo for more photos. 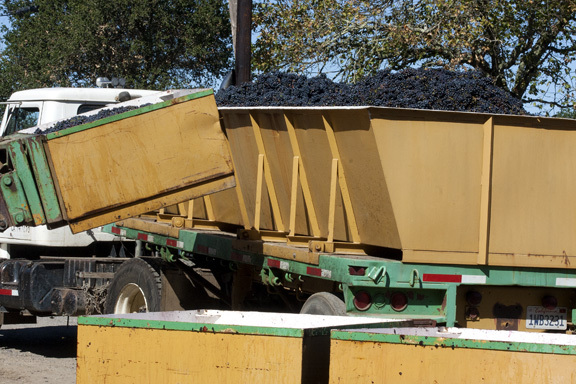 We took advantage of the Heart of Sonoma Valley Crush tour to get out during crush season and to discover some small wineries. Just about ready at Little Vineyards. Chinatown is always fun. Judy and Dave picked it again after the Dieberkorn exhibit at the de Young museum, which was very good. We'll do Chinatown again tomorrow with Marty! Taking photos has highest priority. That is one reason I can't get 'anything' done! I read in the paper there is a Hops Harvest tomorrow at the Windsor museum, with wine & dinner. I not seen hops before so had to get up there to see it before they harvested it. It was a 40 minute drive one way, but worth the trip to see the plants climbing up rope & string and the cute little hop flower/seed cone. 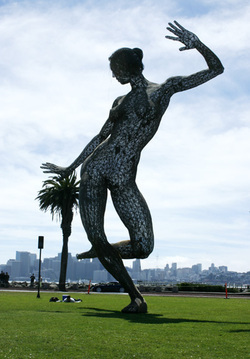 The sculpture is from Burning Man 2010. 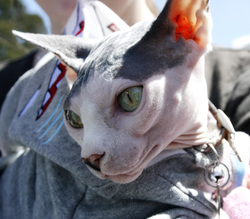 The animals were the cutest, but there really was a flea market going on and about a dozen food trucks. The yellow helps a lot mid-summer with the dry hills. It's hard to tell what it is, but I'm guessing yarrow. I saw some yellow yarrow close up in other places in the park. How sweet is that! On my walk at Helen Putnam Regional Park this morning. That's not the big top and the circus did not come next door. This is how they deal with termites here in Northern California. The tent stays on about three days, and I hate to think of the chemicals drifting downwind to us. 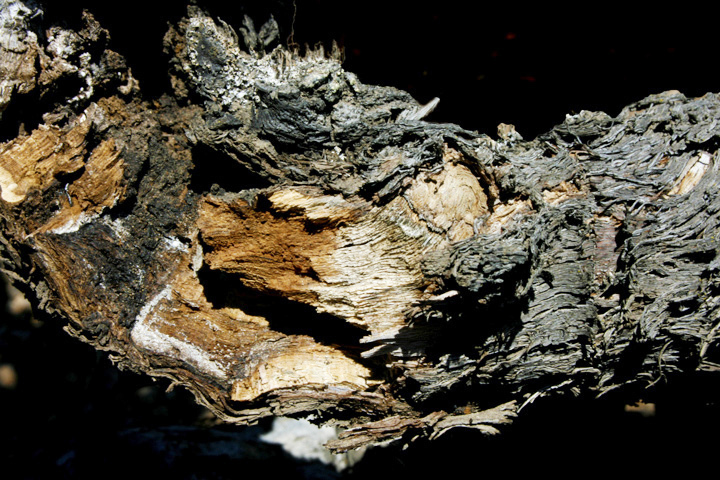 Old chicken houses are a good source of termites in the Petaluma area. This is the yard next door. I saw in the front yard that they had quit watering the lawn and it died. I hadn't seen the back yard in awhile (good for fences sometimes). I would have thought the real estate agent could at least suggest getting rid of the toilet. The family who just moved out is very nice. They took very good care of the yard in the past couple of years. I can imagine how hard it is to deal with foreclosure and I'm sure the bank drawing things out made it much worse. I had heard that poppies grow in adverse conditions where most things can't. Frankie lives across the street and does not budge from the back yard. The 'owners' were away and I got to feed & visit. He is a sweetie of a cat. We had a remarkably clear day in San Francisco. We met Kristen, a cousin of Bill's who recently moved here from NYC, for lunch. It was a fun time. After lunch, she had to go to work, which she loves, but she hadn't seen the sun for days and it was hard for her to leave it. We walked the trail from the Legion of Honor to the Cliff House for the bay views and also enjoyed the street scenes on the way back. I was driving around on Westside Road a little south of Healdsburg. This road is narrow and winding. I happened to notice Sweetwater Springs Road, a no outlet road off of Westside, so took it. It was narrower and more winding than Westside Road and very nice. I was lucky to mostly have the road to myself. The return drive took me through Fulton, just north of Santa Rosa, with two nurseries. Since I don't get up that way often, I had to stop, didn't I? I got three plants at the native plants nursery with friendly and helpful staff. I just looked at the other place, which has so many acres of plants they take you around in a cart. I saw this gopher snake leaving the trail this morning at Helen Putnam park. I wish I had some at home to feed on my gophers! I'm still catching up from the Oregon trip July 11. 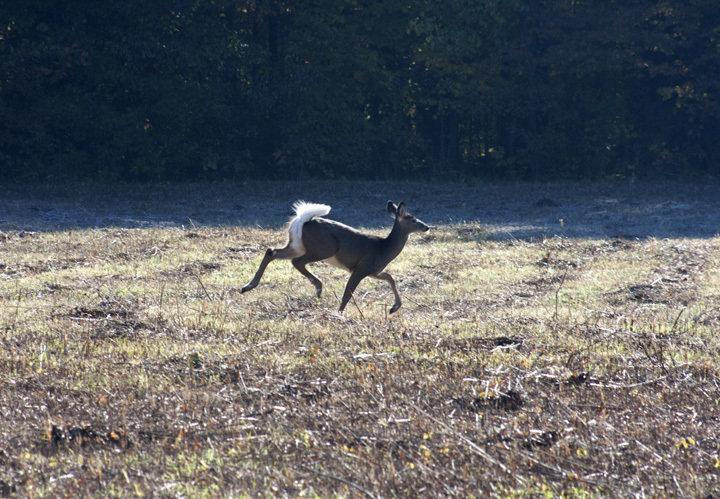 It was fun driving around the grounds, but the deer were my favorite subjects. If I remember our hosts' discussion, Bandon Dunes has 7 courses, 3 of which are rated in the top 10 in the country. It is scenic with rolling hills, dunes and ocean, even if you are there for golf :) The grounds go on for many, many, miles and include several restaurants and lodgings. This will be in the Sebastopol Arts Center exhibit "Not Just Landscapes" August 1 - September 7. I hadn't planned to enter the show. But after the Oregon trip last week, I decided to enter the sand and driftwood photo, two entries below. I splurged and put in three entries for $35 instead of one for $15. It's a good thing, since my new Oregon photo did not make the cut. The cut was 71 pieces out of a record number of over 550. So I'm happy this one got in. I call it "Popeye & Nemo", but I doubt many people see them. See my Exhibits page for more details about the show. Isn't he great?! The seagull is as happy as I was to see him. 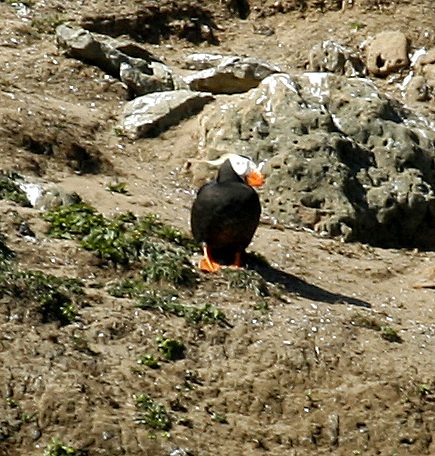 (It is possible the gull is not laughing but is yelling at the puffin). This is the first puffin I have ever seen. I didn't even know they were here. I thought they were mostly on the east coast, mostly in Maine. We're back from visiting my sister for a couple of days last week. I love this beach. There is so much wind, the driftwood and sand are always interesting. Not to mention the sea stacks. I'll post more photos very soon, as I saw a PUFFIN!!! I hadn't planned on entering the Sebastopol Arts Center juried show, deadline tomorrow. The theme is "Not Just Landscapes", whatever that means, and I'll enter this photo. I'm feeling lucky and splurged for $35 for three entries, instead of $15 for one. There are lots of flowers still by the coast. This is along the Bodega Head trail. Then I took a chair and a book to Portuguese Beach and sat in gloriously pleasant temperatures compared to the upper 90s in Petaluma. I have been clearing the decks of library books in anticipation of starting my cousin-in-law's book, When Beggars Die. It was the perfect afternoon to start it. It seems like a fun and interesting read. The cloud shows similarities to sun dogs, but I'm not sure that is what it is. The host server is cleaned up and we are all back in business. Sorry for the problem. The internet is wonderful, but also scary and fragile! Cairo is keeping me company as I work in the yard. He is in the shade next to his stash. It is so hot, and not the norm. It was 95 the last few days and will be 98 tomorrow. Might not have been so smart to work on the hillside today, but I wanted to get the plants in the ground. I have spent two months off and on stripping ivy, getting a steep slope terraced and planting mostly native, drought tolerant, plants. I am about done planting for now, need to tidy up the dirt around some of the plantings. Before and after pics coming in a day or so. This was a fun afternoon. 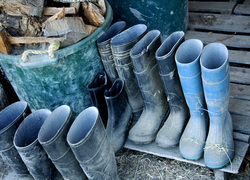 We toured the ranch, played with the lambs, watched the milking and tasted yummy cheese. Next year I hope to get in the early tour just after the lambs are born. 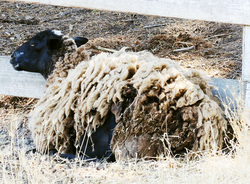 Click on the photo for more photos of the ranch and sheep. I don't know why we circled the shed to get to the field. At least I had my camera at Helen Putnam today to capture the still golden parts as much of the park turns brown as it gets drier. Scraps in the work area. I visited this studio on the last day of the 2-weekend Art at the Source event. I love these potters. I bought a teapot last year. 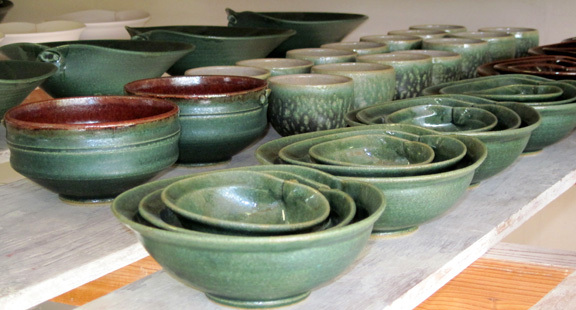 The bowls to the right that I took in their workspace does not do them justice. Go to their website, click here! Nice of this guy to bloom now next to my pile of ivy ripped from the hillside waiting another week for room in the yard waste bin. It adds a little hope to the area. Only half of the ivy pile fit in the just emptied bin. For some reason, the plant doesn't grow. But it has leaves and put out flowers, so something must be right. I went for a walk in Helen Putnam park this morning. Boy did I need that! I had been so obsessed with yard work recently, I had not gone for a walk in two weeks! I was counting the yard work as my exercise and it felt good to get an upper body workout pulling out ivy from a hillside. But the park walk is good for the soul in addition to being a good workout. I didn't have a camera with me today, after I swore I'd carry one at all times. The last time I was there and swore that, I had stepped off the path to let a woman on horseback pass. As I watched her pass, I saw the parakeet on her shoulder. Today if I had had a camera, I would have taken a scene with the golden grass. The last photo I posted was May 9, see below. It is much drier now and the grass really is golden, not a euphemism for the brown grass in late summer. This is a two weekend event. This location was on my way back from Dragonfly Farm. There were four artists at this location. I went to see Kate Schaffner, sculptor. I sat next to her at a meeting in Sebastopol in 2011 for the Art at the Source event. Yea for Kate for doing the event. She told me some of her horse sculptures are modeled after rescue horses. She helps with a different horse rescue group than the one I visited and took some pics of. I hope to get to take photos of some of Kate's rescues. The art location is Frank Schueler's, sculptor. I had not seen him before and loved his work. I also liked looking around his studio, where this photo was taken. I talked with his wife, Pat, who does mosaics. We exchanged information on junk yard locations. She goes to find pieces to use in her art. I go to photograph odd things and try to make art. I can't wait to go to a couple she mentioned that I have not been to. I try to not pass up farm open houses. This one was pleasant. They grow flowers for floral arrangements and more, they have chickens, ducks and bees, and they had vendors at the open house. I found a back area with items used by Ray Degischer to repurpose for functional art. Hasn't been ridden in awhile. What a cute tractor (sprinkler)! It was a fun day taking photos for the fundraising event. 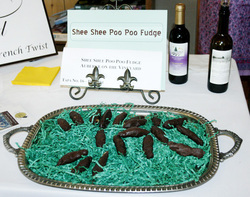 I'm sure it was very good fudge, but there were so many desserts to sample, I just did not sample this one. There is indeed a good view of Sonoma Valley from the overlook trail. I asked Bill to pick out a trail for us for my birthday. We almost missed seeing the deer on the way out. It was a good way to end the trail. There is no escaping vineyards, not that I'm complaining. This is probably a private vineyard for this chateau. Nice blossom at the library display garden. I've been watching it with my ESL student, Maria. 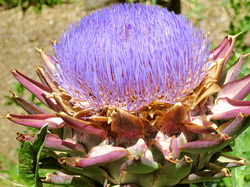 We did one lesson on how to cook and eat an artichoke. We talk a lot about vegetables and the instructions provided many new words. We didn't meet this week. I hope it is still blooming next week for her to see. 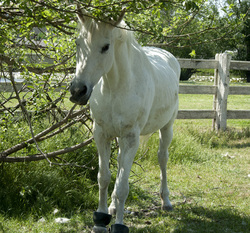 Sadie's Haven Horse Rescue - followup from the May 3 entry below. I posted more photos from Sadie's, click here. With Ohio visitors, we toured Cline Vineyards. Who knew there was a Jacuzzi Winery across the street, related to Cline? Afterwards, we had lunch at The Girl &The Fig in Sonoma. It is indeed very nice, although not many vegetarian options. Rather cool, high winds (windbreaker with the hood up), crashing waves and wildflowers! Kreitzburg, a friend from work, visited for a week. 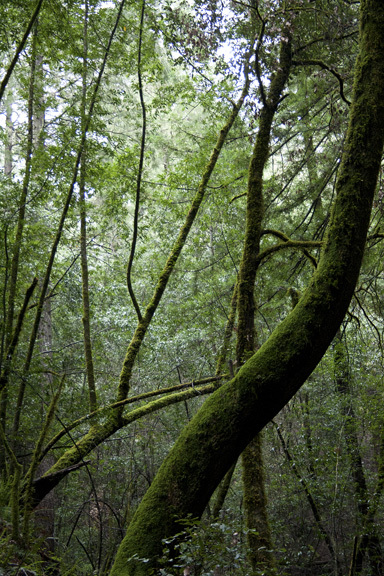 This is the highlight of a walk in Muir Woods. 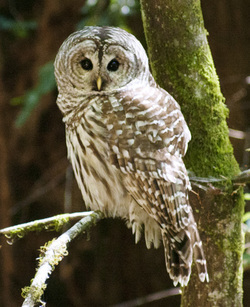 The redwoods and hike were fun enough, but the owl was pretty exciting. We would not have noticed him had another bird not been making noise. I wouldn't have noticed him at all, so good spotting John. The other excitement was seeing the pine cone of the redwood tree (see below). The pine cone is about an inch long; this pine cone and stem are 5" long. It is starting to dry out and turn 'golden'. The green sometimes lasts through May, but not this year. 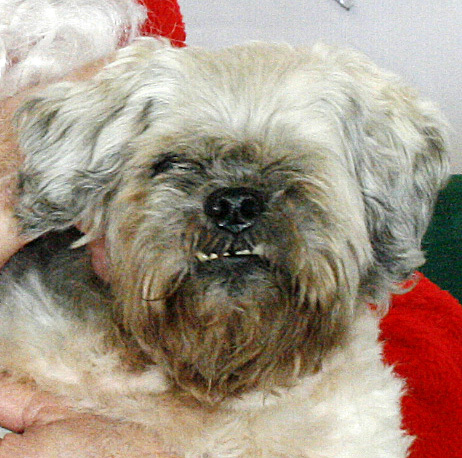 I just heard about Vicki at Sadie's Haven and got an introduction to the operation. The horses could not be friendlier! More pics coming in a couple of days Click on the horse photo. Drakes Beach - Very pretty beach, a bit windy. I was trying to capture the wind via the blowing sand on Limontour Beach. This was our turnaround point as the wind picked up through the gap. 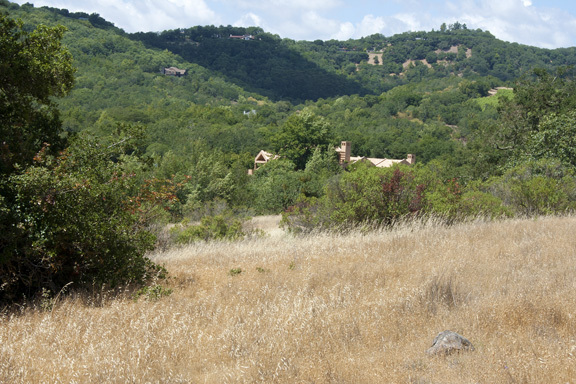 My second day of hiking around Glen Ellen with my cousin-in-law. I wonder what this is. We didn't run across it on the wildflower hike the other day. Hiking around the park with my cousin-in-law who is staying in Glen Ellen for three days with a group from her retirement community in Walnut Creek. The organizers chose some great places & hikes. The remains of the Wolf House which burned down four days before Jack and his wife were to move in. I think a Pipevine Swallowtail? We went on a two hour wildflower walk. 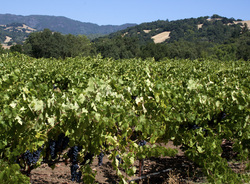 Van Hoosear is just west of the town of Sonoma and is open only for tours. Did I get this right, I think it is a Chinese House. Cute flower. I learned its identity (fiddleneck) the next day on a wildflower walk. 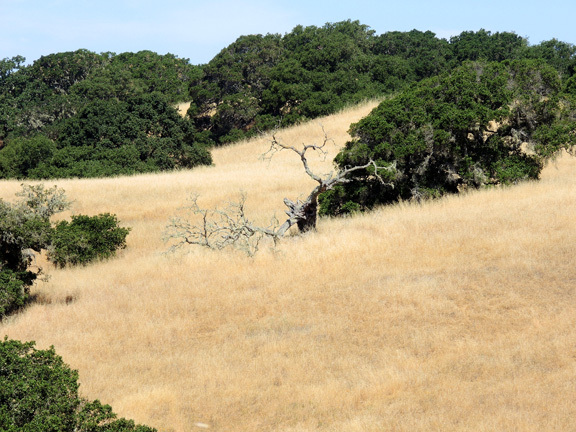 Had a very nice hike the first time here, Sonoma County's newest Regional Park. 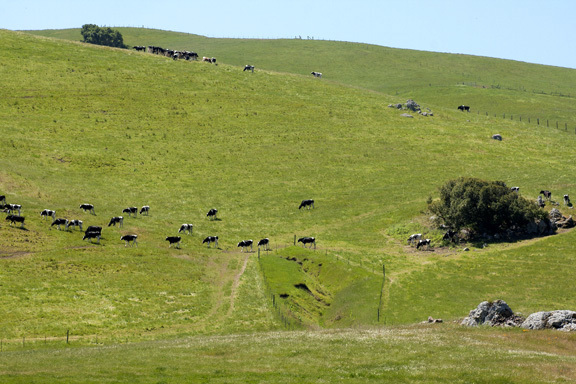 The Ramini farm and cheese company are in Tomales, a little town about a half hour from me. 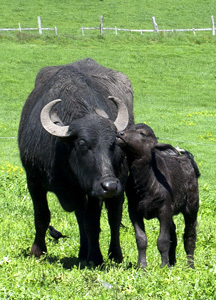 They are making fresh buffalo mozzarella. Craig Ramini was the most gracious host and tour guide allowing me to photo his buffalo. 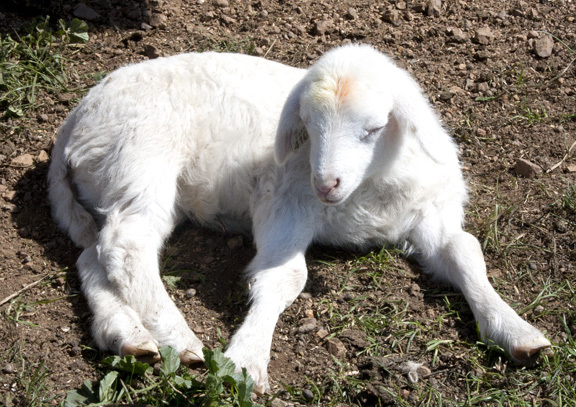 They are sweet animals and have a scenic location with a lot of land on which to roam and enjoy the good life as they produce milk for the mozzarella. Click here for more photos of the girls. 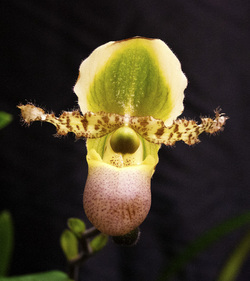 I don't grow orchids and had never been to a show, but this one was in Santa Rosa, just a half hour away, and I figured it would be worth a trip. It was amazing of course with more kinds than I could have imagined, and turned out to be a fun few hours. I'll probably go next year and be a little better prepared for the very low light situation. 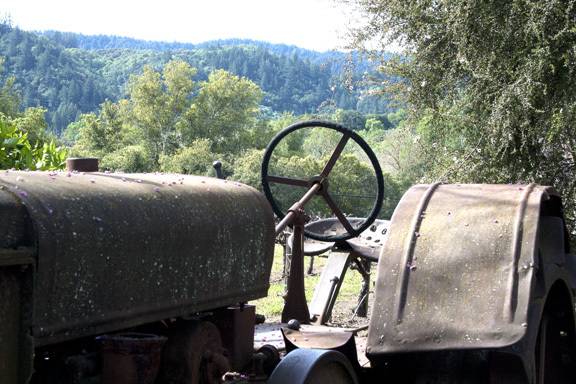 Somewhere I read that the Dry Creek Olive Company is worth a visit for the setting. 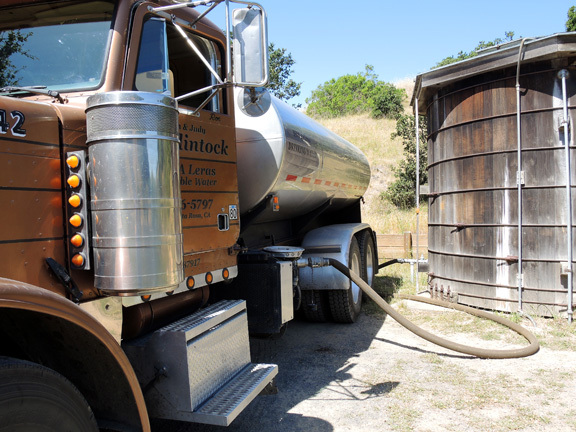 It was hidden on top of a hill off Dry Creek Road along with several wine tasting rooms. Who would have expected to see a machinery graveyard behind the buildings? I had fun looking for interesting rusted parts. Cairo was watching another gopher hole for a long time yesterday. Catching is what matters though. I used to think live and let live, but the gophers have gotten too many of my plants, by the roots, not just nibbling a little. And plants that are supposed to be resistant to gophers. Cairo (mine) is on the left, Buster (Cairo's brother who lives around the corner) is in the orange collar. I went to three gardens yesterday and will post photos, but had to put these cuties up first. Bonnie DeBernardi was kind enough to host my photo shoot request. They are a long time cow dairy farm and more recently a Nubian goat farm and cheese makers. See their contact info here. I've had their goat cheese and am looking forward to trying their new goat brie. The first stop was Sonoma Horticulture Nursery between Cotati and Sebastopol with many acres of trails to wander. Next was the Bamboo Sourcery on the west side of Sebastopol but that took me right by Rose and Thorn so I had to stop for the chickens. They have a large group of very interesting chickens. I have to stop when I'm in the area because it is hard to get good shots of them scurrying around, but is fun to try. The Bamboo Sourcery is amazing. Another great place to stroll with more kinds of bamboo than you can imagine. After the Bamboo Sourcery, I had to pick up a loaf of bread in Freestone, being so close. I stopped for the freshly mowed hay on the way back. 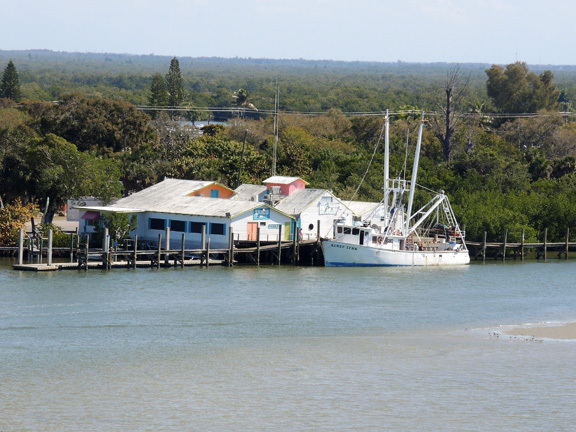 This cute town nearby was the very pretty setting for the locally made movie Touching Home with Ed Harris. 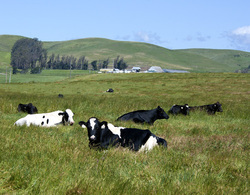 We stopped on the way into Nicasio for a yummy cheese tasting at the Nicasio Cheese Company. Of course there is no phone. Soon there might not be newspapers! Quite an interesting list of Free Calls. Legible version of the sign below. I stopped here a few days ago for some greens. It was my first time buying there; I had been there once before taking photos. The greens were the best, bok choy, etc. I sauteed them a couple of nights and had them in salads after that. 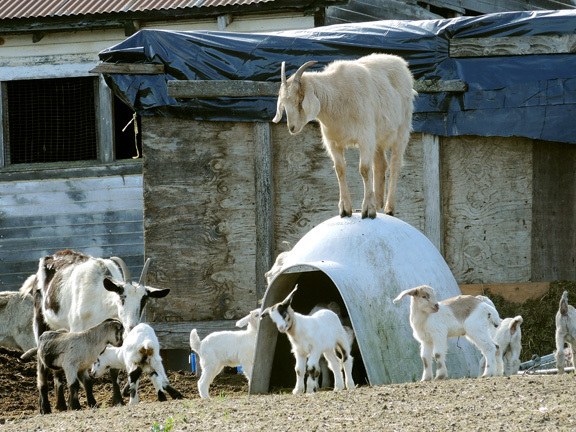 I went back to photo the goats. I've had my eye on this tree for quite awhile and finally stopped for a shot. It is across from Helen Putnam Regional Park where I was heading for a walk. Today's paper had a couple of paragraphs on a "Hoist and Haul" event here. I had not heard of this place so decided to go see if there were photo ops. I had a lot of fun with lines and textures. It is now on my list of places to go when I need ideas. 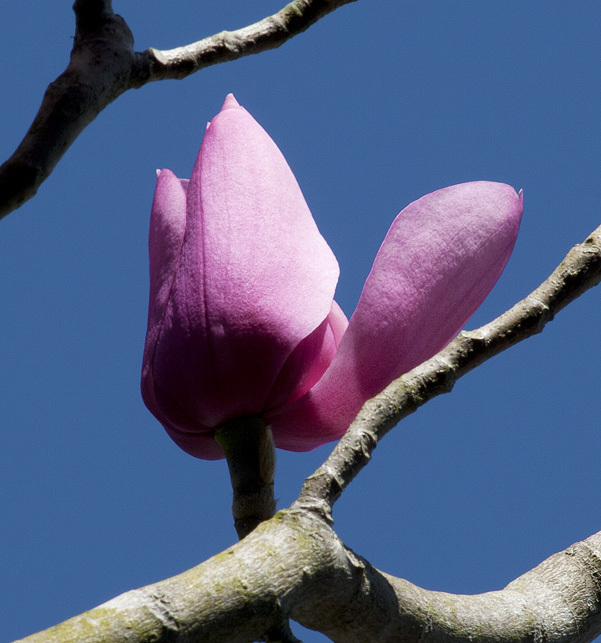 We went to the San Francisco Botanical Gardens to see the 'magnificent magnolias'. 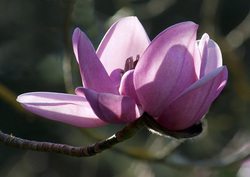 The paper said that the San Francisco Botanical Garden has spectacular magnolias that are about ready to bloom. I went to Glen Ellen to preview magnolias but it is a little early there. Last year the frost got the blooms in Quarry Hill. 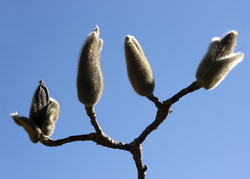 'They' say the magnolias are great in Quarry Hill. Without seeing anything blooming, it is hard to spot the greatness, but there are probably more magnolias than I spotted. The rest of Quarry Hill is great for plants and trails though. I hope to get to San Francisco within a week. This is the reddest bark I've ever seen. Sorry, I don't remember what it is! But I hope to get back when leaves come out to see it again. I am so excited. We planted this in October, 2011. It got established well and I was looking for new growth. It hadn't occurred to me to start anticipating blossoms this year. 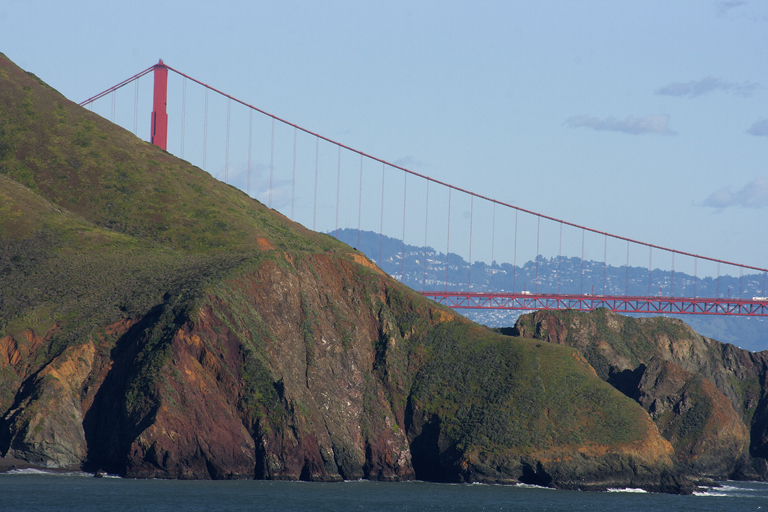 What a fun afternoon driving along the Marin Headlands to the lighthouse. And a pleasant half mile walk to the point. The lighthouse is only open two days a week, and from 12:30-3:30. Which really means the tunnel through the rock is open then. Those are not great hours for the sun on the lighthouse, but it is still an impressive setting. So I played around with other shots of the lighthouse, with cool gargoyles. And - it was chilly enough with a breeze that I got to use my new gloves with the index finger and thumb that flip open for easy access to the camera buttons. Very cool. I didn't know about them or know I needed them until I got an email from B&H. Walking along the beach, out for an adventure looking for waves a couple of stories tall (see next entry). The conditions from the Japanese currents were right for maverick waves at Half Moon Bay (30 miles south of San Francisco) and the surfing competition was on. I figured they'd be excellent also a little north of the bay and headed over. OK, it was a very nice day and fun watching the pretty-good waves, but they were not as good as expected. I thought perhaps next year I could go to Half Moon Bay to photo the surfing. Can't do that! After 2010 waves took part of the cliffs, they do not let spectators near the beach or the cliffs. Spectators pay for tickets to watch a live broadcast from a nearby parking lot. And the almost maverick waves were a half mile out, so even if you were allowed near the cliffs, you couldn't see anything. 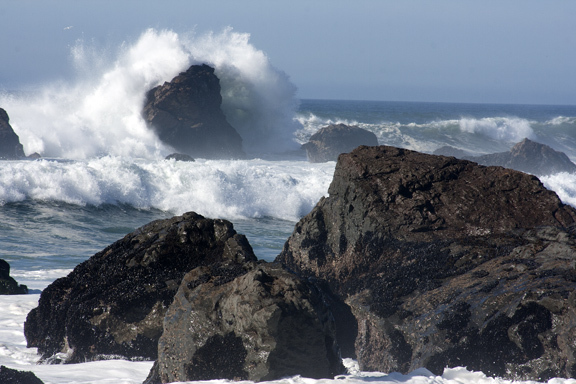 These are taken at Portuguese Beach just north of Bodega Bay. We went to an art preview show at Sonoma State University. This was at a nearby building. I doubt I would have taken the photo had I not had 'reflections' on my mind as the theme of the art show at the Sebastopol Art Center this month that I did not enter. The cyclamen are blooming in the side yard. We got rid of a raised bed that blocked the view of the small yard. We also got rid of rocks and grout waste from the back of the yard and used the dirt from the raised bed. There were apparently lots of bulbs left in the dirt and will be a surprise in the spring. I know some are onions. And I do recognize weeds sprouting. We like the seeds in salads. The last time I seeded one I said that next time I'd buy the seeds already out at Trader Joe's. But I wanted to take photos of one strange 'seedy fruit'. We ventured down to Ikea and found a small table and a small chair, assembly required. The last day of the year is a nice one. It was 38 degrees when we started the walk, but it felt pleasant. This is a view of Helen Putnam Park, where I usually walk, from the trail in the residential area across the street that goes up to the water towers. There is a good view of the city of Petaluma on the other side. Cairo staying warm as winter fast approaches. 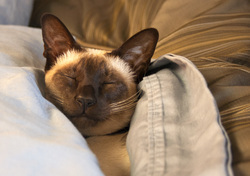 After spending the first part of the night in his own bed covered up, he puts his whiskers in my face until I pick up the covers for him and he sleeps against me. When I get up, he moves over to the warm place since he no longer has the warm body nearby. When he first adopted us and did this, I was a little worried about the conditions, mostly his feet on my pillow. I talked to a friend who said she would let her dogs do whatever they wanted, as if their happiness was the only thing that mattered, and sent pics of them sprawled on her pillow. And the stage was set. Staying warm during the day. Although it wasn't high season for migrating birds, it was a fun walk, as always, at Shollenberger Park in Petaluma. Back to Portuguese Beach to take Bill this time. 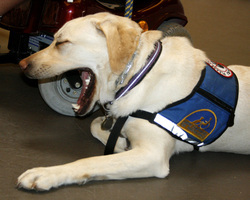 I took photos for the Canine Companions for Independence fundraising event. 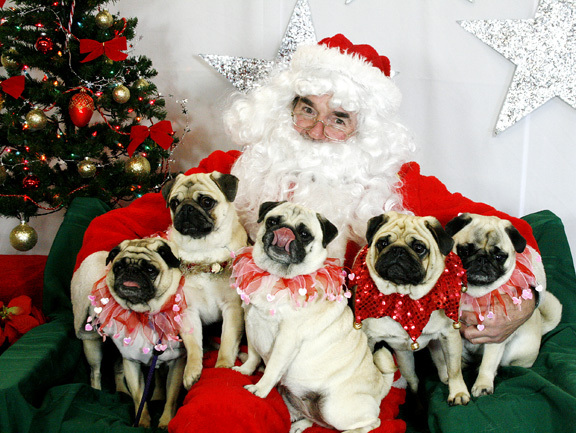 Not all of the dogs were happy to be forced upon Santa, but it the fees went to a great cause (click here for CCI). One woman has a farm and brought two goats along with her dogs. She invited me to take photos at the farm in the spring during lambing season. It is on my calendar! This is one of my favorite places along the CA coast. 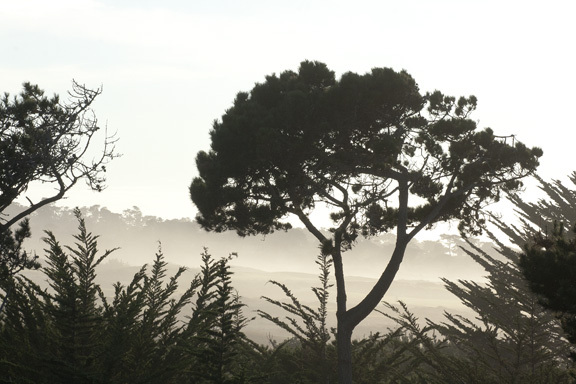 We spent a few hours here as we stayed just up the coast at Asilomar for three days (see the next entry). The tide was high and I didn't recognize Weston Beach at first. 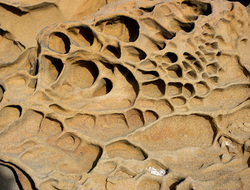 That is named for Ed Weston and has great rock shapes and designs. We spent three lovely days here for Thanksgiving with three of Bill's cousins and their spouses. Again we lucked out with sunny days. It could be the first annual get together, as we are all within a three hour drive of the Monterrey Peninsula. Wandering around the city with my sister Sheryl and her husband David out for a visit from Ohio. We had a fine day with a surprising amount of sunshine and warmth. 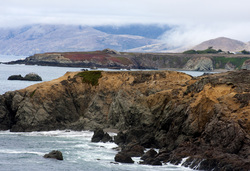 A much cooler and windier day at Bodega Bay. It was sunny as we drove through the town. When we got to a beach about two miles north, it was completely fogged in so we skipped the scenic walk on the beach. Cairo liked David's suitcase but forgot to ask if he could play in it. Between Schoolhouse Beach and Portuguese Beach, after I spent time watching crashing waves from Schoolhouse Beach. 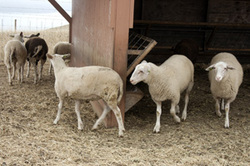 I went to Windrush Farm on fiber day to scout sheep photos. They also have a couple of alpacas and chickens. 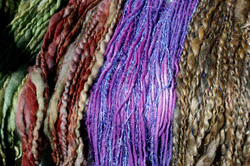 It was fun to look at the hand made fiber goods for sale and to stroll the grounds. 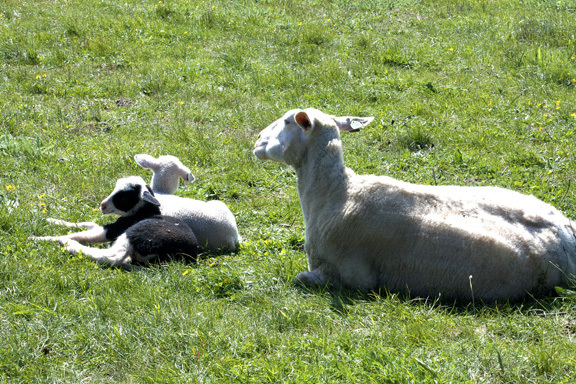 I hope to go there in the spring for lambing season and whatever else is going on then. 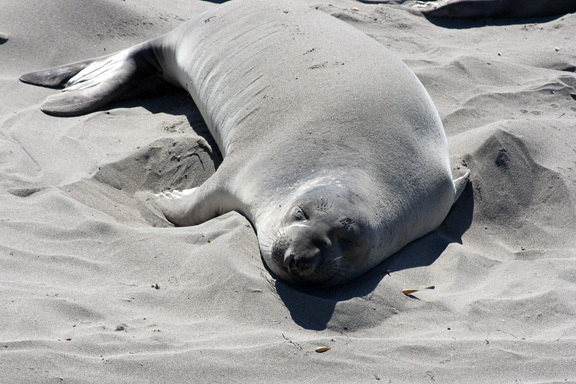 I had a fine walk along the beach just north of Bodega Bay. 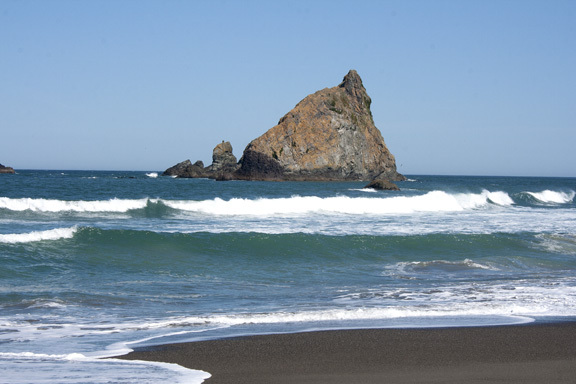 This is my current favorite beach with a combination of scenic rock outcroppings and a good beach to walk. Don Di Bernardi was selling goat cheese at the new eastside Petaluma farmer's market. I signed up for a tour when Bill's sister and her husband were here. It was a two hour personal tour of the Di Bernardi dairy farm including a description of all the goats and a tasting of their yummy cheeses. I hope to go back for more goat photos. I went to Sausal to check out their old vines, over a hundred years. They gave me a map of the grounds and turned me loose to wander. That was fun! After I failed to find a new access point to the coast (see next entry), I went back to Pinnacle Gulch where I knew how to get to the coast and knew it would be really nice. That was a fun drive! I perused the map and thought this was another way to the coast south of Pinnacle Gulch. I was wrong and it does not make it to the coast. It turns into private property. Since a B&B was advertised, I told myself I wasn't being too invasive. I pushed it until a gate across the road emphasized that it was indeed private. It was so quiet there was no problem stopping in the middle of the road for a quick photo. We had a few days tour through Yosemite, Mono Lake and the ghost town of Bodie with Bill's cousin Betsy. It was all glorious of course. Sonoma County. 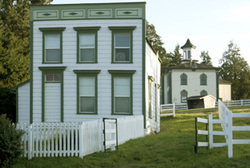 The Hitchcock film "The Birds"
schoolhouse in the film and is now a private residence. We had to watch "The Birds" again after we moved nearby to Petaluma. 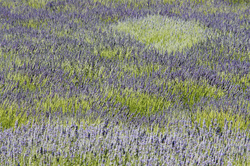 The annual trip to nearby Matanzas Creek Winery for the field of lavender. Each year requires a few trips to catch the lavender in full bloom, and each trip is fun. See previous Photo Notes July 1, 2011 entry for last year's photo. 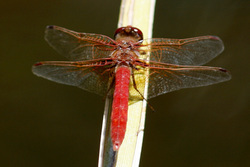 It was not the right weather for many butterflies to be out but I did get to see this dragonfly at the start of the walk. Louise Hallberg lives on nine acres of paradise in Sebastopol and opens her land to visitors once a year. It was a splendid walk around her property with flowers, barns, and plenty to see. And I bought two lavender plants for our yard. The farm had an open house. What a fun day. I played with the goats for quite awhile. In pens with about six goats in each, it was hard for me to take photos as they were climbing on me and chewing on my hair and clothes. 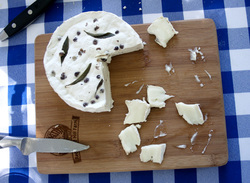 I wandered around the grounds and tasted quite yummy goat cheeses. I'd go next year! Although he is cute and I probably would have taken the photo anyway, I would not have laughed so hard had I not just heard about someone (a person) who had a necklace very similar to this. Camp Meeker is along the Bohemian Highway and was a fun visit. We've seen the post office before, and this day I walked some of the residential area whose streets are straight up and all the houses are in the redwoods. It was quite the trip in many ways. This is across the street from the wonderful Wild Flour bakery. This was my first time there and I had the best scones. 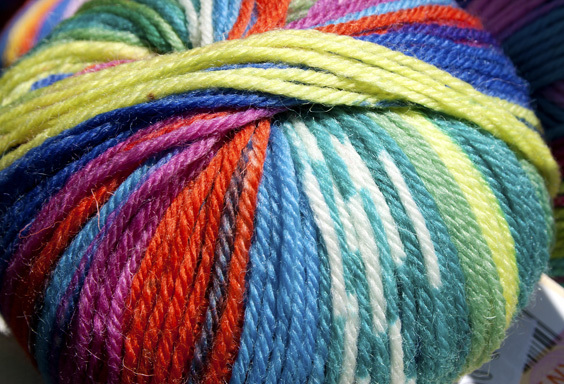 I also bought a scarf at the boutique next door. Since I'm not a scarf person, I haven't worn it. But I mean to and think I can become a scarf person. 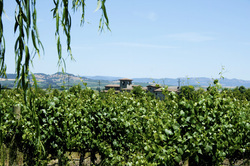 The bakery and boutique are about all there is to Freestone, other than a ubiquitous vineyard. From the bakery's lovely garden in back. 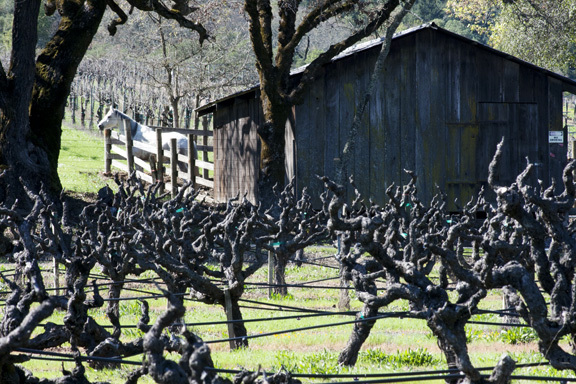 The Rose Company is in Healdsburg and clearly has much more than roses. They had an open house to tour the grounds and sip tea, and purchase roses and many other plants. Living in Petaluma, I figured we should check out American Graffiti at least once - a theme repeated a few entries down for a parade. We watched the movie "American Graffiti" again after we moved here. I had no idea my favorite park had so many wildflowers. This place just gets better. Walking the town looking for odd shots. Ohmygosh were the wildflowers gorgeous at Pepperwood. They were everywhere and several new kinds for me. Although the fields of lupine were not out. I'll look forward to trying next year. Living in Petaluma, I figured I should check out the Butter and Egg Day Parade at least once. It was new to me though. 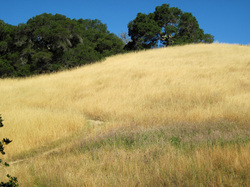 We had a very pleasant walk at Sonoma Valley Regional Park near Glen Ellen. The farm is in Petaluma. This is the view from the farm looking north. Green String has a little of everything, a few animals, a vineyard and a farm store with vegetables for sale. 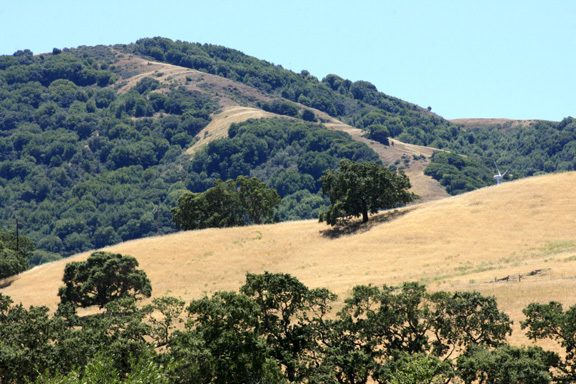 Along Hwy 12 in Kenwood, the heart of Sonoma Valley. Just driving around the area having fun in the spring. So I wouldn't get bored with just vines, I had to check out a few vineyards that have 'formal' gardens. These are at Ferrari-Carano. Click photo notes for older posts. copied or reproduced in any form without the written consent of the artist.